EVERY Sunday afternoon, Thembi Majola cooks a meal of chicken and rice for her mother and herself in their home in Alexandra, an informal settlement adjacent to South Africa’s wealthy economic hub, Sandton. “Vegetables is only on Sunday,” Majola tells IPP, adding that these constitute potatoes, sweet potato and pumpkin. Majola, who says she weighs 141 kgs, has trouble walking short distances as it generally leaves her out of breath. And she has been on medication for high blood pressure for almost two decades now. “Maize is a first priority,” she says of the staple item that always goes into her shopping basket. “Every Saturday I eat boerewors (South African sausage). And on Sunday it is chicken and rice. During the week, I eat mincemeat once and then most of the time I fill up my stomach with [instant] cup a soup,” she says of her diet. 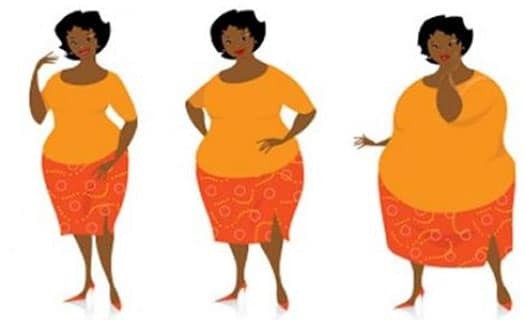 Majola is one of about 68 percent of South African women who are overweight or obese, according to the South African Demographic and Health Survey. The Barilla Centre for Food and Nutrition’s Food Sustainability Index (FSI) 2017 ranks 34 countries across three pillars: sustainable agriculture; nutritional challenges; and food loss and waste. South Africa ranks in the third quartile of the index in 19th place. However, the country has a score of 51 on its ability to address nutritional challenges. The higher the score, the greater the progress the country has made. South Africa’s score is lower than a number of countries on the index. Many South Africans are eating a similar diet to Majola’s not out of choice, but because of affordability. Dr Kirthee Pillay, lecturer of dietetics and human nutrition at the University of KwaZulu-Natal, tells IPP that the increase of carbohydrate-based foods as a staple in most people’s diets is cost-related. The Pietermaritzburg Agency for Community Social Action (Pacsa), a social justice non-governmental organisation, noted last October in its annual food barometer report that while the median wage for black South Africans is US$209 a month, a monthly food basket that is nutritionally complete costs $297. The report also noted that food expenditure from households arise out of the monies left over after non-negotiable expenses, such as transport, electricity, debt and education needs have been paid first. And this resulted in many families incurring debt in order to meet their food bills. “Staples are cheaper and more filling and people depend on these, especially when there is less money available for food and many people to feed. Fruit and vegetables are becoming luxury food items for many people given the increasing cost of food. Thus, the high dependence on cheaper, filling staples. However, an excessive intake of carbohydrate-rich foods can increase risk for obesity,” Pillay tells IPP. Majola works at a national supermarket chain, with her only dependent being her elderly mother. She says her grocery bill comes to about US$190 each month, higher than what most average families can afford, but agrees that the current cost of fruit and vegetables are a luxury item for her. David Sanders, emeritus professor at the school of public health at the University of the Western Cape, says that South Africans have a very high burden of ill health, much of which is related to their diet. “The food system is creating, for poor people anyway, a quite unhealthy food environment. So for well-off people there is sufficient choice and people can afford a nutritionally-adequate diet, even one of quite high quality. “But poor people can’t. In most cases, the great majority, don’t have a kind of subsistence farming to fall back on because of land policies and the fact that in the 24 years of democracy there hasn’t been significant development of small scale farming,” Sanders, who is one of the authors of a report on food systems in Brazil, South Africa and Mexico, tells IPP. According to the report, about 35,000 medium and large commercial farmers produce most of South Africa’s food. In addition, Sanders points out that a vast majority of rural South Africans purchase, rather than grow, their own food. “The food they can afford tends to be largely what we call ultra processed or processed food. That often provides sufficient calories but not enough nutrients. It tends to be quite low often in good-quality proteins and low in vitamins and minerals – what we call hyper nutrients. “So the latter situation results in quite a lot of people becoming overweight and obese. And yet they are poorly nourished,” Sanders explains. In April, South Africa introduced the Sugary Beverages Levy, which charges manufacturers 2.1 cents per gram of sugar content that exceeds 4g per 100 ml. The levy is part of the country’s department of health’s efforts to reduce obesity. A study shows that the number of young South Africans suffering from obesity doubled in the last six years, while it had taken the United States 13 years for this to happen….